Ben R. Rich, brilliant scientist, aeronautical engineer and Father of Stealth is more of an enigma now than he was during his lifetime. 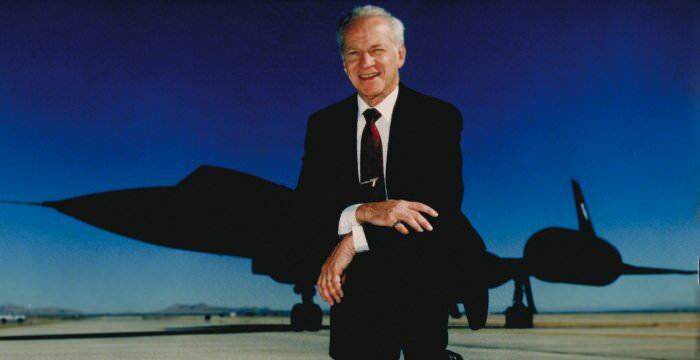 He is most noted for designing a stealth fighter-plane that flew undetected by radar and for his role as the second director of Lockheed Martin’s top-secret Skunk Works program. Born in 1925, Rich passed away in 1995 with controversy still brewing among his friends, critics and those who heard him speak publicly about whether or not he believed in UFOs and extraterrestrials. Many questions remain unanswered. Was there a Ben Rich deathbed confession where he admitted that he knew that extraterrestrials and UFO visitors are real? Did he publicly mean it when he claimed that, “We now have the technology to take ET home,” or was it a joke? Is there credibility to other statements attributed to him in which he allegedly claimed technology learned at Roswell was used to influence the development of top secret U.S. aircraft? Are the alleged communications from Rich to his friend John Andrews credible? With Rich’s last breath, definitive answers to these questions were lost forever. Lockheed Martin’s Advanced Development Projects (ADP), known officially as Skunk Works, was a secret aeronautical research facility in Burbank, California. The founder and first director of Skunk Works was Clarence “Kelly” Johnson, who was the designer of a U.S. spy plane called the U-2. Ben Robert Rich joined Skunk Works in 1954 and helped design various aircraft, including a prototype that could reach speeds more than 1,300 mph. He became the second director of Skunk Works, holding that position from 1975 until his retirement in 1991. Rich received many awards through the years, including the award from the Department of Defense for Distinguished Public Service. After his retirement, he continued to speak around the country on the achievements of Skunk Works. Some believe things he said at those public events support his belief in UFOs and ETs. Others say he was only “joking” with some of his comments. There are also letters he wrote to a friend and evidence of an important phone conversation he had just a few days before his death; both shed light on his UFO and ET beliefs. John Andrews was a Lockheed engineer and personal friend of Ben Rich. Andrews expressed his own personal opinion that UFOs existed in a letter he wrote to Rich, asking Rich to share his own opinion. Andrews claimed that Rich responded that he believed "there are two types of UFOs, the ones we build, and the ones they build...I am a believer in both categories. I feel everything is possible. Many of our man-made UFOs are Un-Funded Opportunities.” Rich underlined the “UFO” in “Un-Funded Opportunities,” but gave no explanation. Critics say that Rich either did not make the comment about taking ET home or he was not serious if he did say it. They point out that Rich first used that statement to conclude his speech in 1983, shortly after the Steven Spielberg film E.T. : The Extraterrestrial hit the big screen. The comment at that time was made as a joke and received a positive audience response, so he continued to use it. Critics discount the reports of two reputable witnesses at the 1993 speech who spoke with Rich after the speech was over. Jan Harzan and Tom Keller, both engineering alumni of UCLA and UFO enthusiasts, caught up with Rich after his speech and asked him to explain his “taking ET” home comment. The following oft-reported exchange occurred. According to Harzan, Rich then turned and walked away. Harzan interpreted Rich’s comments to mean that U.S. scientists are aware of the existence of “interstellar propulsion technology” which involves a known set of equations. Critics say it was just Rich’s way of continuing the joke. Ben Rich was a brilliant engineer whose contributions to the aerospace industry are still out of this world. His inquisitiveness continued throughout his life. Even critics who question whether he made some of the comments attributed to him believe that, at a minimum, he believed in “the existence of other intelligent life in the universe” even though he thought it likely to be distant and definitely mysterious. Want to learn more about Ben Rich and his role in deep space exploration? Be sure to view the latest episode of Deep Space: Secrets of Anti-Gravity.